Predictability. Certainty. Routine. Security. Sameness. These are words that, despite lending themselves to the mundane, are words most often associated with a certain sense of ‘security.’ These words remove the fear of the unknown, thereby allowing safe planning into the future. In winemaking, these words are almost meaningless. 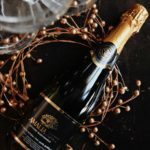 Flavors change with changing soil, weather aberrations, and even the wind itself – which is to say nothing of the human element involved in winemaking from year to years. 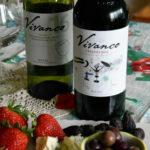 This is part of the beauty and art involved in the dating on labels – the liquid in the bottle is the encapsulation of the conditions of the year the wine was produced. 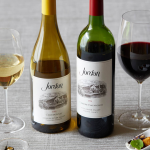 Granted, larger producers try to maintain predictable quality, flavors, and aromas by selecting grapes from handpicked growers, but even there variances exist from year to year. 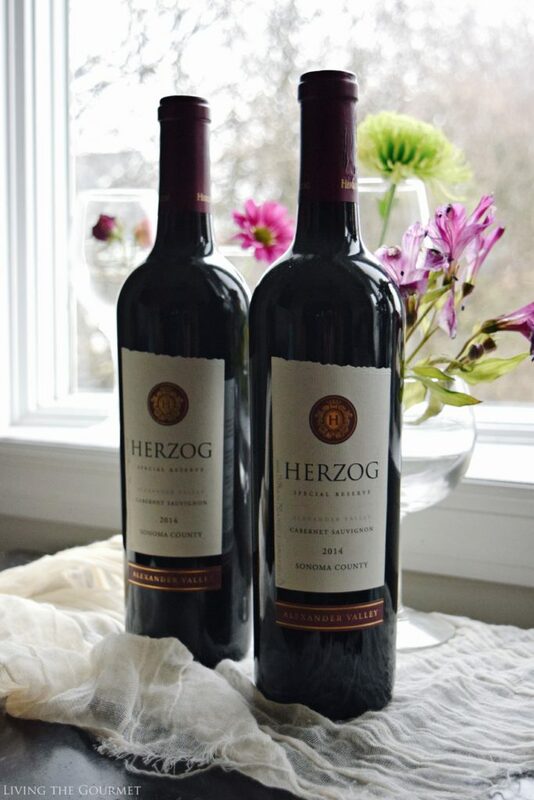 If you’ve been paying attention to the wine reviews here on Living the Gourmet it’s become something of an annual event that I review an offering from the Herzog Wine Cellars, a kosher winery located in Oxnard, California. 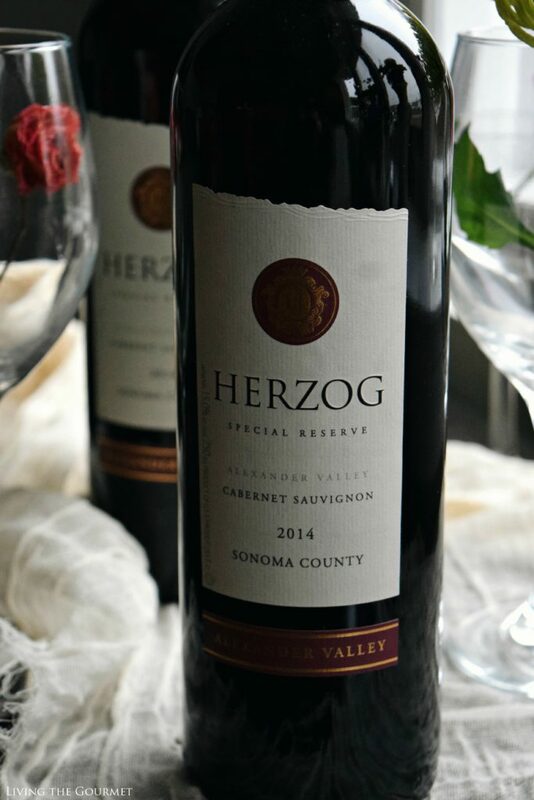 Thus, early last month, I received word from Herzog’s representatives asking if I would be interested in reviewing their 2014 Special Reserve Cabernet Sauvignon, and naturally I agreed. 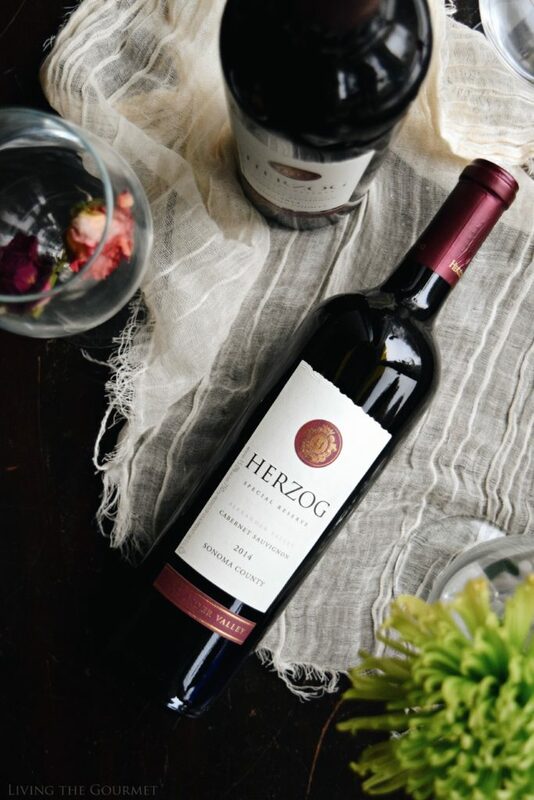 On pouring, the wine presents itself with characteristic cabernet colorations, with deep ruby hues along the outer edges of the glass, which intensify and darken towards the center. The wine greets with aromas of sliced ripe cherries off the top of the glass, and ever so vague hints of weathered cigar box far in the background. Towards the middle, blackberries and dark fruit essences predominate. However, towards the bottom of the glass things start become a fair bit more complex, with earthy notes of tobacco leaf and drift wood coming to the forefront, and largely overtaking the fruitier notes of the profile. On sampling, the wine introduces itself with chocolatey notes framed in toasted oak essences, which are pleasantly set against a backdrop of earthy textures and very pleasant cedar notes. 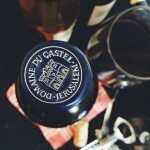 This melds in an intensely pleasant and lasting finish, which boasts a silky texture on the palate. For pairing, this is largely a classic cabernet, and I’ll have to concur with the winemakers themselves who suggest aged ribeye, lamb roast, or pasta with a spicy red sauce. 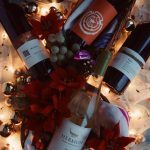 Overall, I was very pleased with these wines, and can easily suggest them to any of my readers looking for an easy to pair, enjoyable red wine.